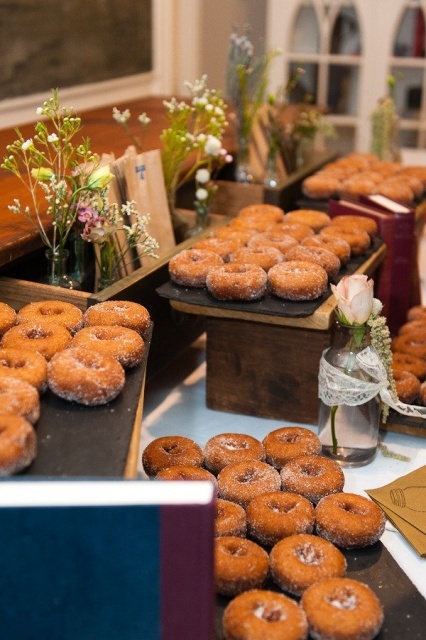 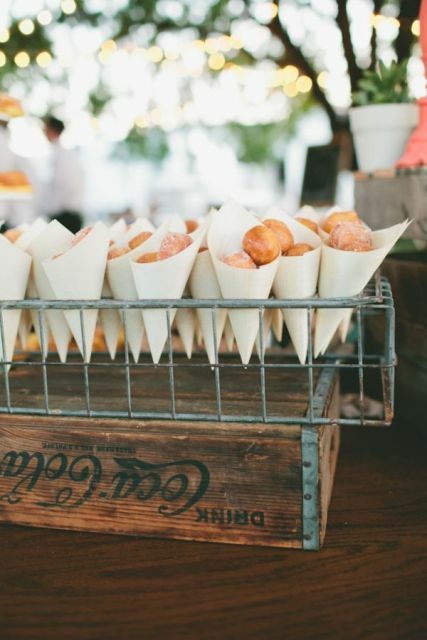 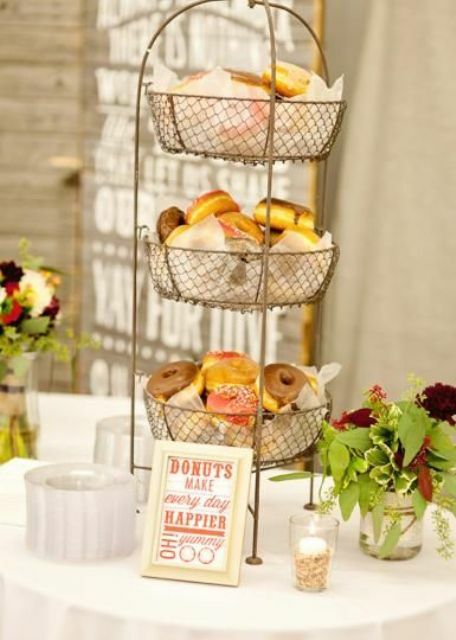 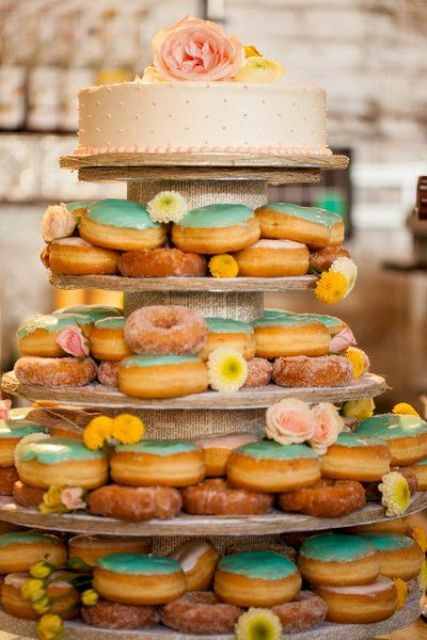 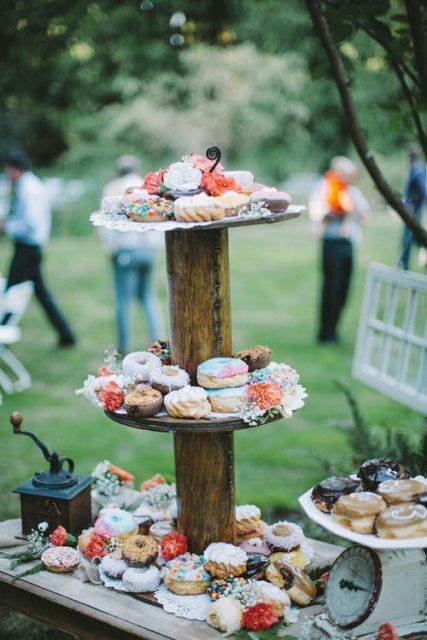 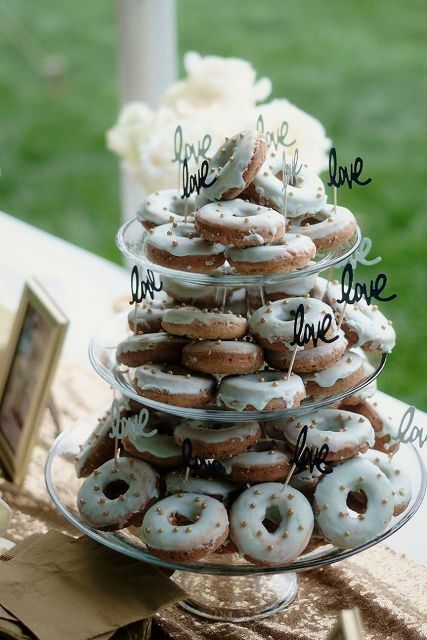 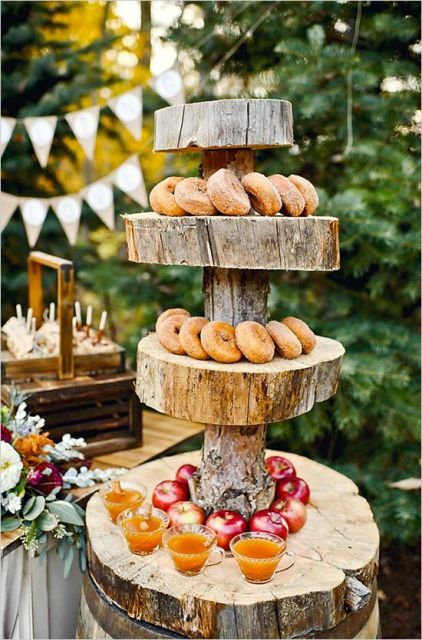 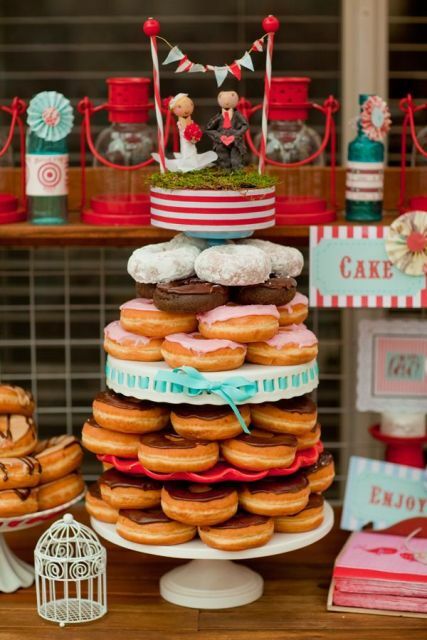 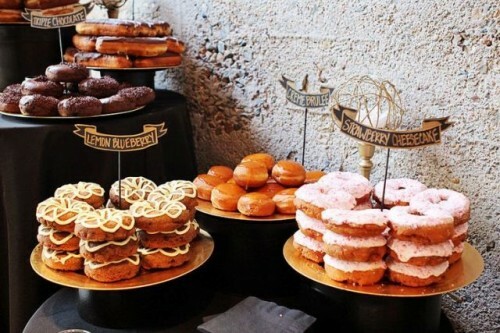 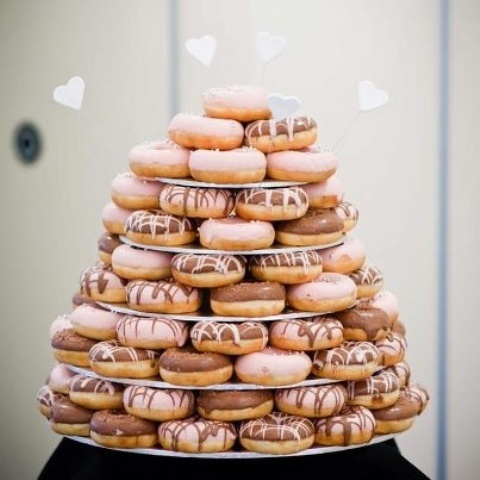 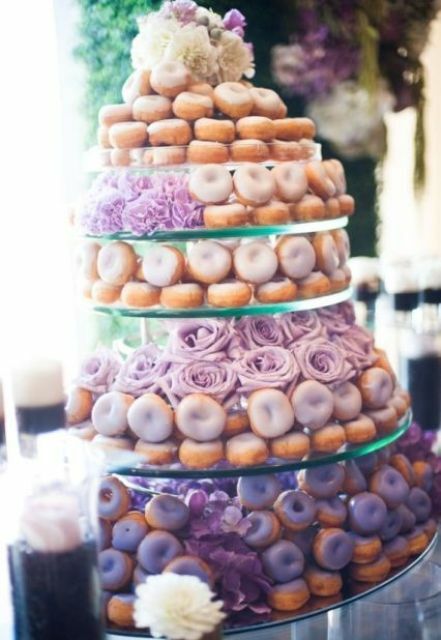 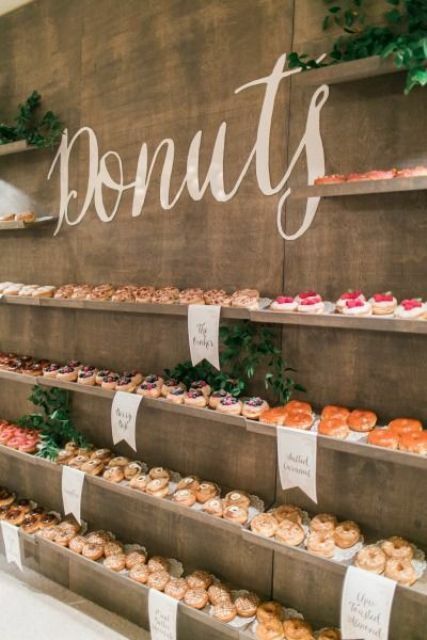 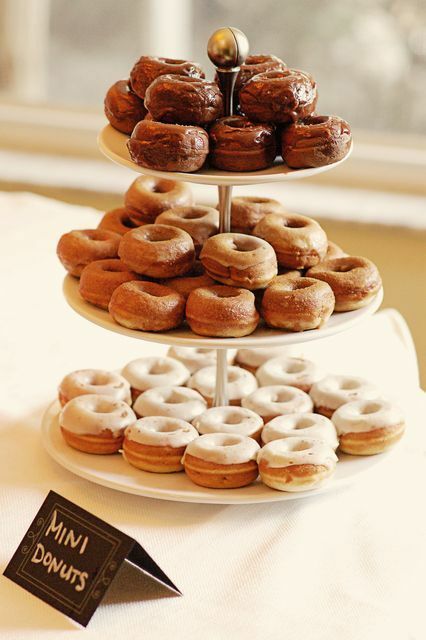 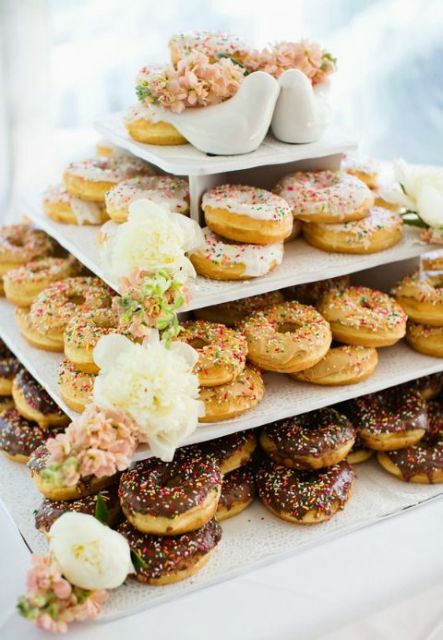 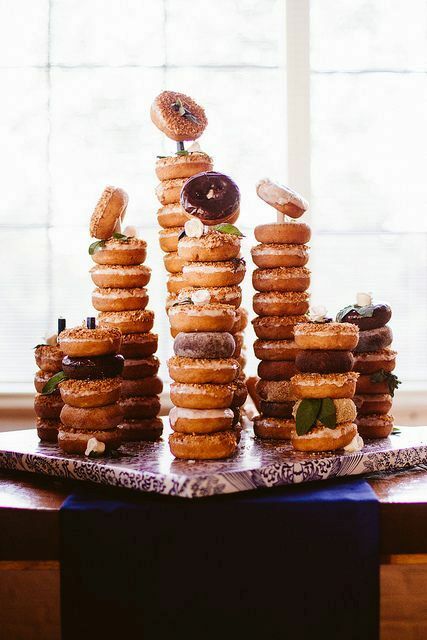 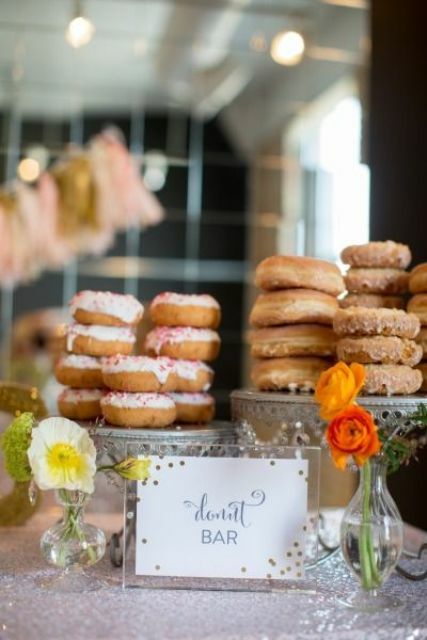 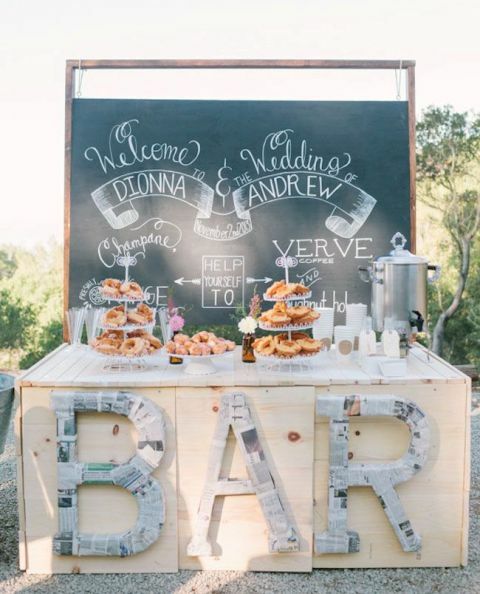 We continue to introduce delicious and fantastic snacks for your wedding and today we gonna pay your attention to donuts! 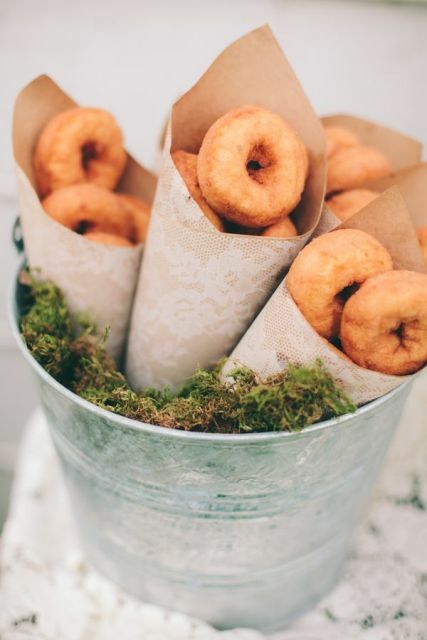 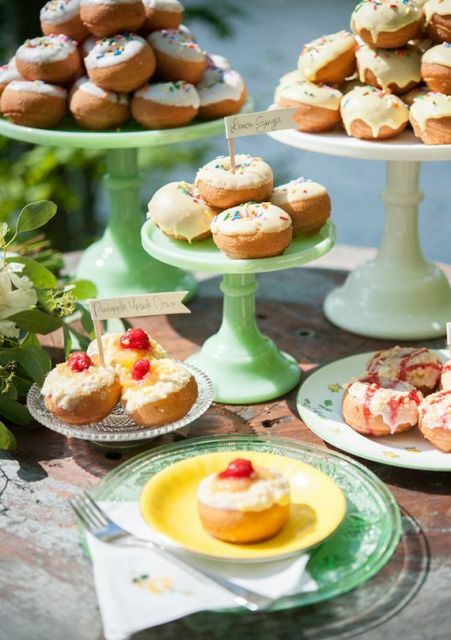 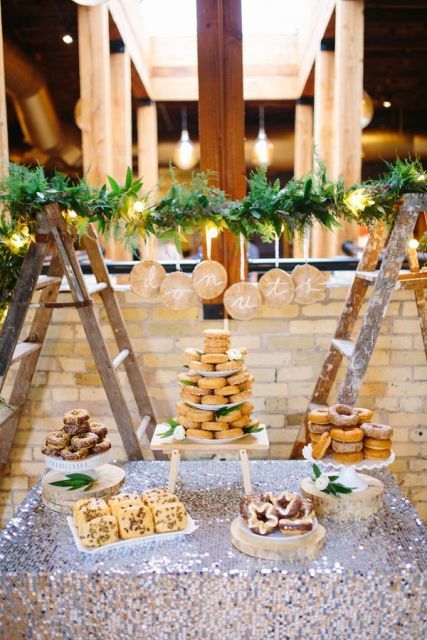 They are so sweet and tasty that all the guests of your wedding will want to try them and your mission is to make various types of donuts for your friends. 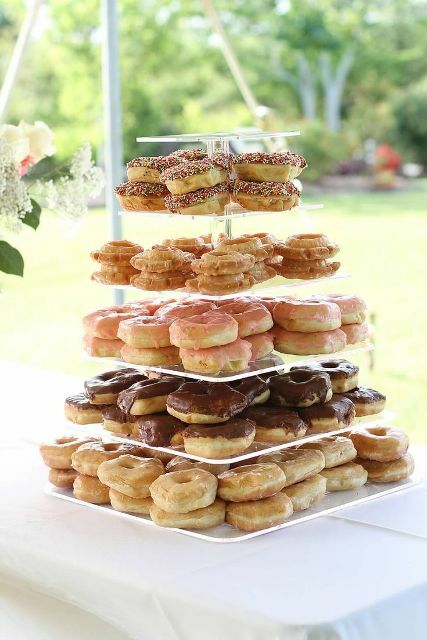 You can create or buy donuts with glazing, various fillings and toppings (jam, ice cream, jelly, etc. 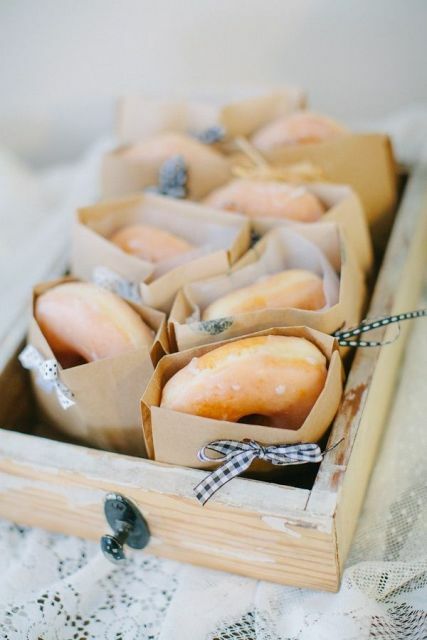 ), chocolate, or you can pick up simple donuts. 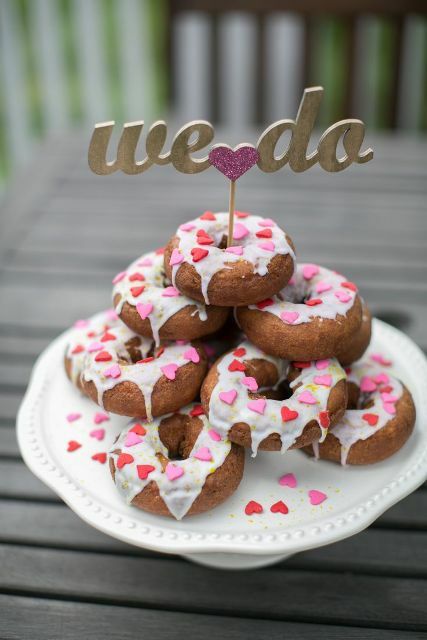 Don’t forget to display them right according to your wedding style. 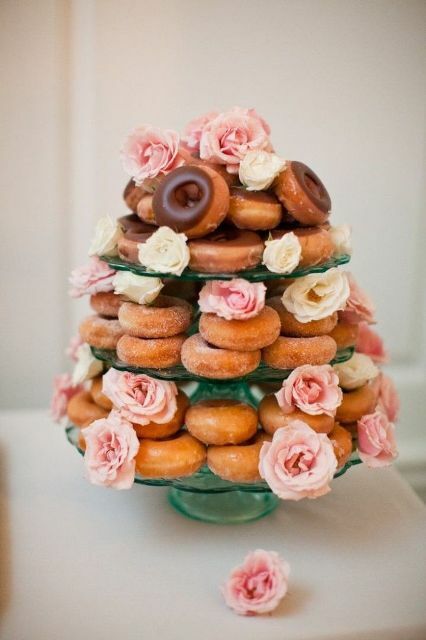 You can even make a beautiful cake from donuts and decorate it with flowers, for example. 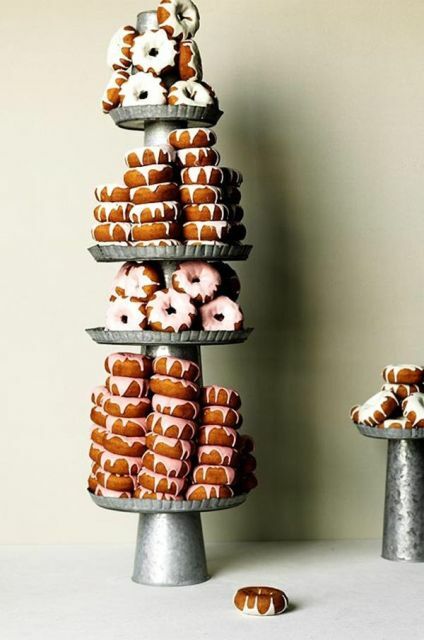 Try to be original and get inspired!